Foreigners who are smuggling fuel outside of Zimbabwe are causing increased demand which is contributing to its scarcity. Government said it will institute long term solutions to ensure adequate fuel supplies in the country. Zimbabwe has undergone a painful era of fuel shortages which has affected industry and commerce. The shortages can be rightly attributed to a surge in demand to a rise in economic activity but part of the demand is artificial caused by price distortions in the economy. 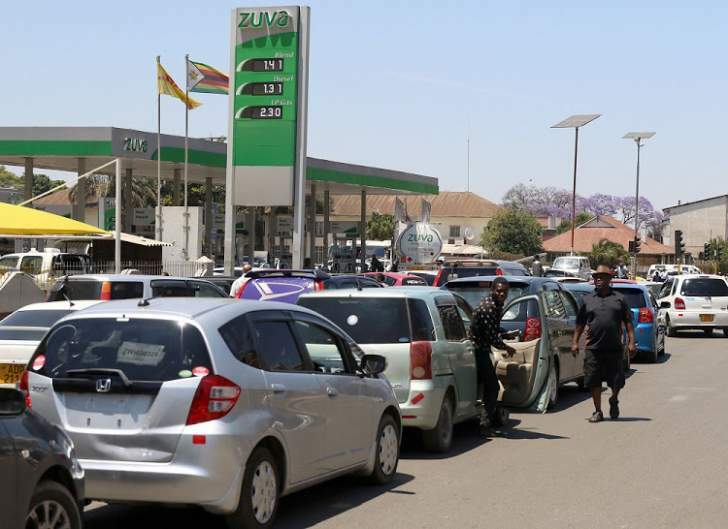 Energy and Power Development Minister Dr Joram Gumbo said Zimbabwe is the cheapest haven of fuel in the region hence foreigners are registering brisk business by buying fuel locally and reselling it to their home countries. "Our fuel in US dollar terms is very cheap so that makes it profitable for foreigners to buy it from here and sell to their own countries. So some of the demand is quite artificial otherwise we are buying fuel on behalf of others in the region," he said. The Reserve Bank of Zimbabwe in the mid-term monetary policy statement directed all transit-foreign registered vehicles to pay for fuel only in hard currency but the policy measure seemed to be lacking in terms of implementation. In US dollar terms using the Old Mutual implied rate, fuel in Zimbabwe costs around US$0.35 compared to around US$1.30 in the region. Minister Gumbo revealed that long term measures are being put in place to find a lasting solution to the crisis including coming up with facilities with international oil companies.